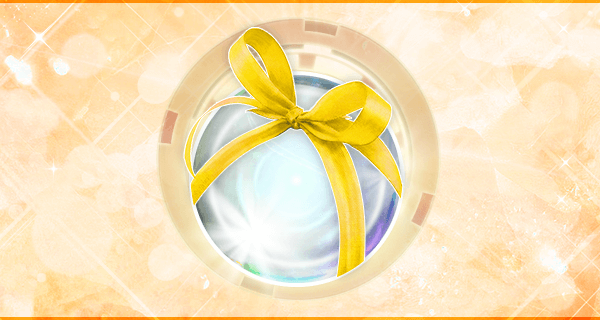 - Special Offer for "Shinryu"! - A limited pack with [Avatar (Top) x1] 100% guaranteed! - "Metal Pack" on Sale! - "Refinement Pack" with Special Offer! Avatar Chest: "Cursed Fox" is on sale until February 10th at 11:59 PM (JST/GMT+9)! This is a special campaign for "Shinryu"! Dragon incarnation flying down from the sky! A limited pack with [Avatar (Top) x1] 100% guaranteed! Check out the special pack that contains at least one Avatar (Top) selected at random from the lineup! Do not miss this gorgeous item pack! *You will get 4 avatar items each time you purchase this item pack. *Win rates are individually set on each category. "Refinement Pack" with Special Offer! 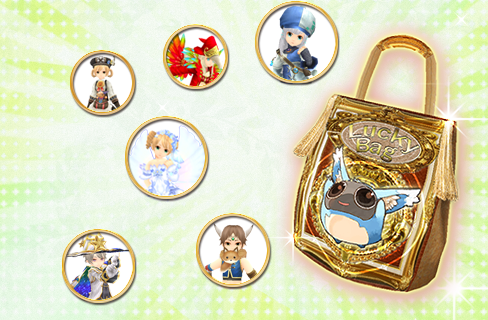 "Refinement Pack" on Sale until 2/10 at 11:59 PM (JST/GMT+9)! Orb x10 at first purchase, Orb x15 at second, Orb x20 at third! - Refinement Ticket (1000%) : 10x Success Rate for refinement at a blacksmith's. - Refinement Ticket (900%) : 9x Success Rate for refinement at a blacksmith's. - Refinement Ticket (800%) : 8x Success Rate for refinement at a blacksmith's. - Refinement Ticket (700%) : 7x Success Rate for refinement at a blacksmith's. - Refinement Ticket (600%) : 6x Success Rate for refinement at a blacksmith's. - Refinement Ticket (500%) : 5x Success Rate for refinement at a blacksmith's. - Refinement Ticket (400%) : 4x Success Rate for refinement at a blacksmith's. - Refinement Ticket (+9) : If you succeed in refinement at blacksmith's using this item, the refinement value becomes +9.Unavailable for equipment with +9 or more. - Refinement Ticket (+8) : If you succeed in refinement at blacksmith's using this item, the refinement value becomes +8.Unavailable for equipment with +8 or more. - Insurance Ticket (100%) (Set of 10) : Prevents the equipment from degradation caused by blacksmith's refinement. It'll beused even if the refinement is successful. - Insurance Ticket (95%) (Set of 10) : 95% chance to prevent degradation caused by blacksmith's refinement. It'll be used even if the refinement is successful. - Mana Box (5,000pts) : Produces 5,000 Mana points by using it.If the material points exceed the limit,you cannot use this item. - Beast Box (10,000pts) : Produces 10,000 Beast points by using it.If the material points exceed the limit,you cannot use this item. - Fabric Box (10,000pts) : Produces 10,000 Fabric points by using it.If the material points exceed the limit,you cannot use this item. - Medicine Box (10,000pts) : Produces 10,000 Medicine points by using it.If the material points exceed the limit,you cannot use this item. - Wood Box (10,000pts) : Produces 10,000 Wood points by using it.If the material points exceed the limit,you cannot use this item. - Metal Box (10,000pts) : Produces 10,000 Metal points by using it.If the material points exceed the limit,you cannot use this item. *The price will become "Orb x30" from your fourth purchase. *There is no limit in the number of purchases. You can use "Open x1" for Orb x1, "Open x11" for Orb x20 at your first purchase of "Refinement Chest"!